Design, development, and product management projects. During Angela’s time with SparkFun Electronics, she served as the product manager for the LilyPad Sewable Electronics line, a SparkFun collaboration with designer Leah Buechley. Curation and selection of materials for the kit, creative and brand direction, and ensuring the kit fit the standards of the LilyPad brand through conversations with LilyPad inventor Leah Buechley. Wrote accompanying guidebook with instructions, diagrams, and tips for creating four introductory e-sewing projects with LilyPad hardware. Guidebook with instructions, diagrams, and tips for creating four introductory e-sewing projects with LilyPad hardware to accompany the LilyPad Sewable Electronics Kit. Creative direction of board layout and concept art based on feedback from educators and customers. Worked closely with Education Engineer Mike Grusin to assure project met specifications for classroom use. Wrote supporting documentation and projects showcasing use of the product. Created concept art and specifications for revision of the LilyPad Development Board to improve use in the classroom. Conducted research to ensure product met market needs. Worked closely with SparkFun engineers Marshall Taylor and Mike Grusin to assure project met specifications. Collaborated with marketing on campaign launch for the 10th anniversary of the LilyPad line. Wrote supporting documentation and resources. Selected projects from Angela's time as an associate footwear designer for the Timberland Company on the Special Make Up product team. Created custom colorway of the Timberland Euro Hiker for Stussy. Selected materials and fabrics based on customer requests. Approved product samples with development team. Special edition of the Timberland Classic Booth created for celebrity collaborator George Tokoro. Prototyped and drafted pattern for lace cover design as imagined in concept art by Tokoro. Selected materials and fabrics based on customer requests. Approved product samples with development team. 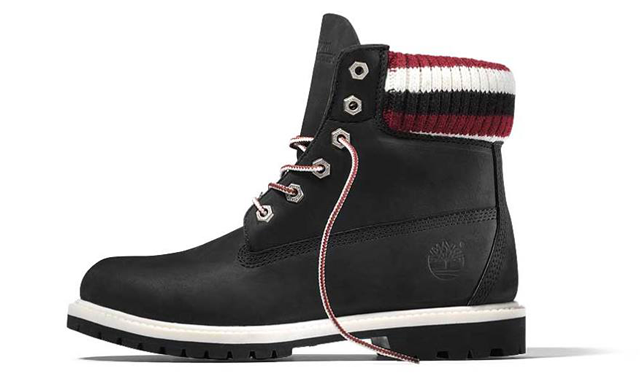 Limited edition 40th anniversary Timberland Classic Boot for Stay Real brand. Selected materials and created design specs based on customer concept art. Approved product samples with development team. Limited release colorway of the Timberland Classic Boot designed for Urban Outfitters. Selected materials and fabrics based on customer requests. Designed co-branded emboss for footbed and hangtag logos. Approved product samples with development team.